While out for a walk in Carey's Bay around 5pm tonight (June 18) I heard a rustle in a garden and saw a beautiful seabird. 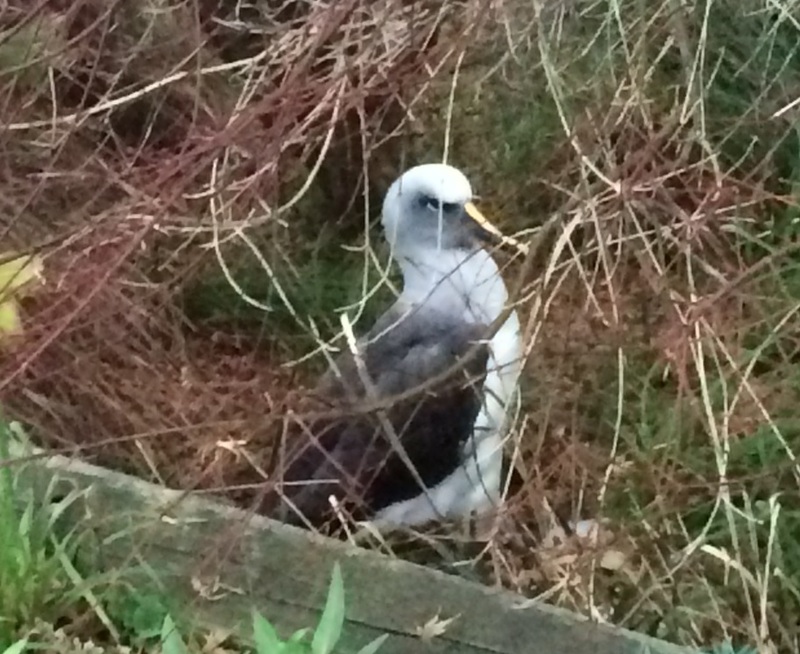 Took a photo and thought it might be a Buller's Albatross. Contacted DOC. Hope it is healthy and fit so it can return to the Southern Ocean.